The Fayette County Chamber of Commerce recently honored Domtar Converting & Distribution as the August Business of the Month. The Fayette County Chamber of Commerce August Business of the Month is Domtar Converting & Distribution. Opened in October 1999, Domtar is a vital supporter of the Fayette County community, according to the Chamber. The business recently completed its United Way campaign, raising over $11,000 for the Weekend Backpack Program. These bags are packed with food and sent home with school children who may not have access to ample amounts of food while away from school. During the previous school year, employees read to third grade students and provided each child with a book of their own to continue their literacy journey. Additionally, they have held textile drives, adopted a highway for trash removal and hosted high school sophomores for a day of job-search skill training. Domtar recently celebrated being injury free for over 1,000 days. This is the third time they have celebrated this great accomplishment since they opened their doors 19 years ago. 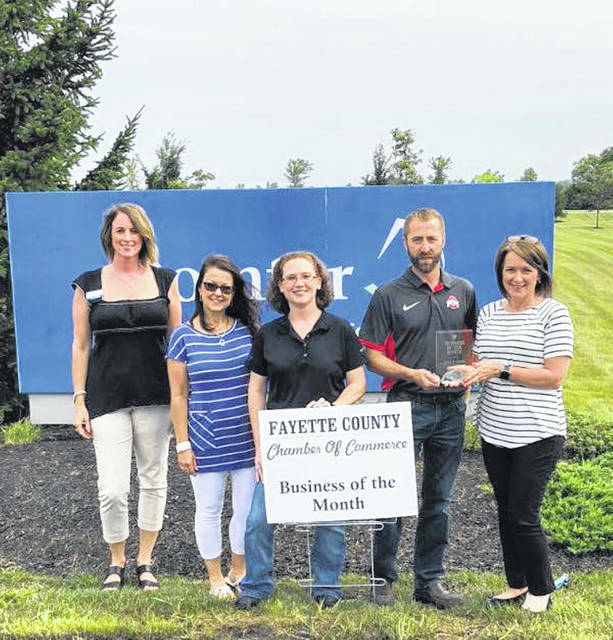 https://www.recordherald.com/wp-content/uploads/sites/27/2018/08/web1_Domtar.jpgThe Fayette County Chamber of Commerce recently honored Domtar Converting & Distribution as the August Business of the Month.